Seeing as it was literally the last week of the year, I didn’t expect much in the way of new and good music videos, and for the most part I was right. There wasn’t a whole lot of substance this week but I rounded up what I could with some new offerings from Future, Rae Sremmurd, Travis Scott, and a really weird anime hip-hop mashup from Lil Uzi Vert. You check them all out below, along with my reactions. So I’ve basically given up on trying to keep up with Curren$y’s music. He literally dropped 12 projects in 2016. WTF!? I have no idea from which project this song is from, but this is actually really dope. The beat is harder than usual for his more laid back style and he spits a little more aggressively than his norm. The video is simple, shots of his family and friends and an in studio performance. Curren$y is really dope but he’s gotta slow down in 2017. There’s no time to even digest his music. Hell yeah. One of my favorite songs off Travis Scott’s highly stylized Birds in the Trap, finally gets the visual treatment. The visuals are just as equally full of vibes as the song itslef. Warehouses, flashing lights, smoke, and an all chrome Lambo. I’d expect nothing less from the Kanye West signed artist. Popcaan has had a big 2016 and he seems more than ready to become the de facto face of dance hall. “Nah Idle” is a strong offering with a good feeling bounce to it. I don’t know what the visuals have to do with the song, but whatever. Let’s see if he can keep this momentum up in 2017. Future actually dropped a trio of videos just before the end of the year, with one being especially horrendous. Between this and that one, this was easily the better of the two new songs. He seems to be gearing up for another project soon, and “That’s A Check” sees him doing his usual Future thing. It’s nothing special, but it’s damn near impossible not to bounce your head. The video is the usual girls, jewelry, and bottles. Rae Sremmurd aka the worms from Men In Black are still at it strong with the hype, party music. Their music is the definition of junk food hip-hop, but there’s no denying how hard it goes in the club. 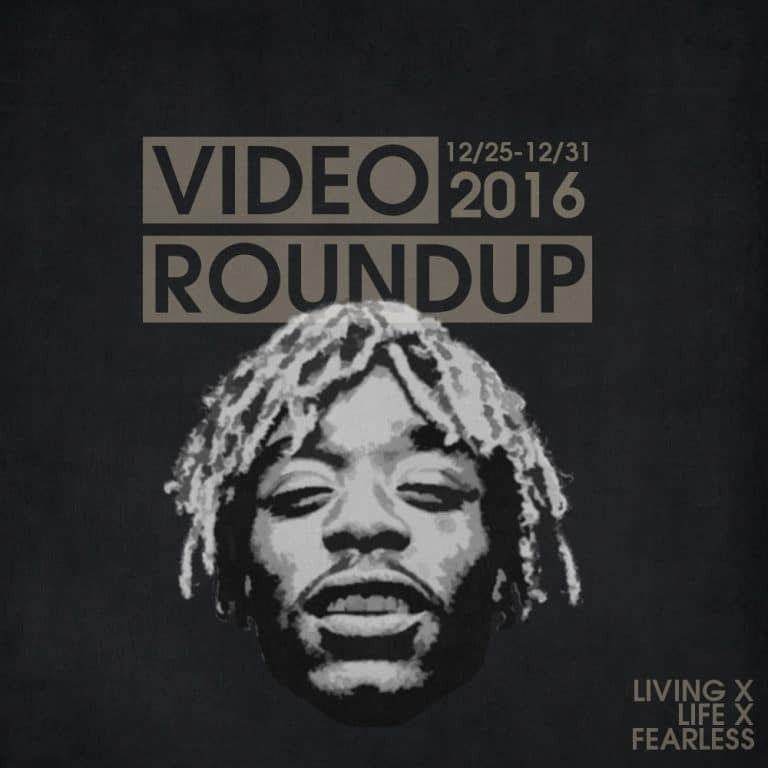 The video features a freshly released Kodak Black, a ton of Christmas lights, and a smoked out house party. I will say that it’s not hard to see why so many “old heads” hate on Lil Uzi Vert lol, he doesn’t make it hard not to, but “P’s & Q’s” is an ok song for the microwave type of hip-hop. Nothing special, but I’ve heard far worse. The video however, is terrible. Trying to merge with anime and cram as many Asian stereotypes as he can into one video makes for some awful viewing. Lloyd has always been an extremely talented cat, with a great voice. But for whatever reason he’s just never been able to blow as big as some of his peers. But as you can see from “Tru” he’s got the chops and while it’s not the official video, it’s always dope to see these in-studio performances.